MIAMI - An employee at a 7-Eleven in downtown Miami went on an 11-minute social media rant this week about unsafe and unsanitary conditions inside the store. At times, Sheila Clarke was out of control as she talked about the conditions. "You're gonna hear me!" she yelled in the video. The store is located at 100 Biscayne Blvd., across from Bayside. "Come take a walk with me inside this mother f**king store," she said at the top of her video. Inside, she shows items with a thick layer of dust on them. Clarke claims management turned a blind eye to conditions and told her to turn the dusty merchandise around. "I made the video because I'm a consumer before I'm ever an employee at a store," Clarke told Local 10 News investigative reporter Jeff Weinsier. Clarke, who called the conditions a "blatant disregard for our safety," and employee Ashanti Parker both said they have complained to management about working all alone in the store. "I said, 'I'm scared about my safety here.' I just complained. My hours got cut by 10," Clarke said. 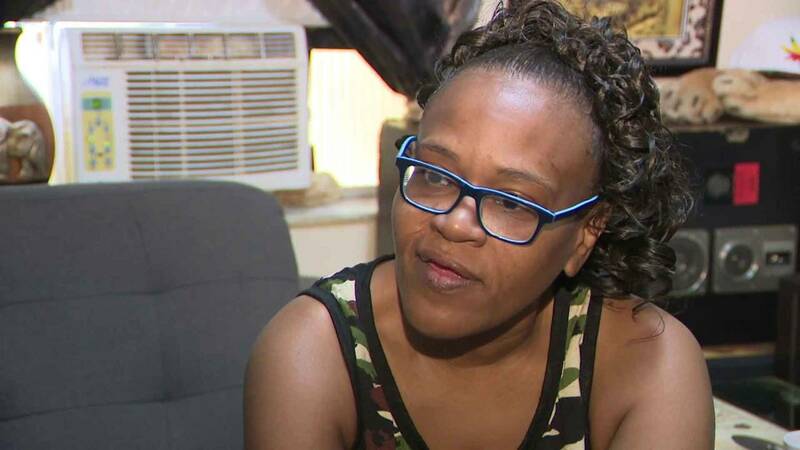 Sheila Clarke says her hours have been cut since she complained about the unsanitary working conditions at the 7-Eleven in downtown Miami. Both Clarke and Parker said they don't get to take bathroom breaks because the store is so busy and, for several weeks, the lock on the front door was broken. Parker claims that when she's brought up safety concerns, she was told the security cameras would be angled better. "We work alone all the time," Parker said. "I've made several complaints about it, and due to the fact that I made those complaints to corporate, they've cut my hours down to 15 hours a week." Parker provided Local 10 News with several videos she took of customers she's had to confront alone. In one video, a man was out of control and appeared to be on drugs. Another person told her he was homeless and got aggressive when she refused to give him free food. "I've tried several times to speak with the company," Parker said. "I've called (human resources). Our safety is at risk." According to records provided to Local 10 News by the Miami Police Department, there were 70 calls for service from March to October of this year at or around the 7-Eleven. "I can't quit because I need a job to pay my bills," Parker said. 7-Eleven is a billion-dollar company with 66,500 stores worldwide. The downtown Miami store is corporately owned. "I shouldn't have to go find another job because I want to feel safe," Clarke added. 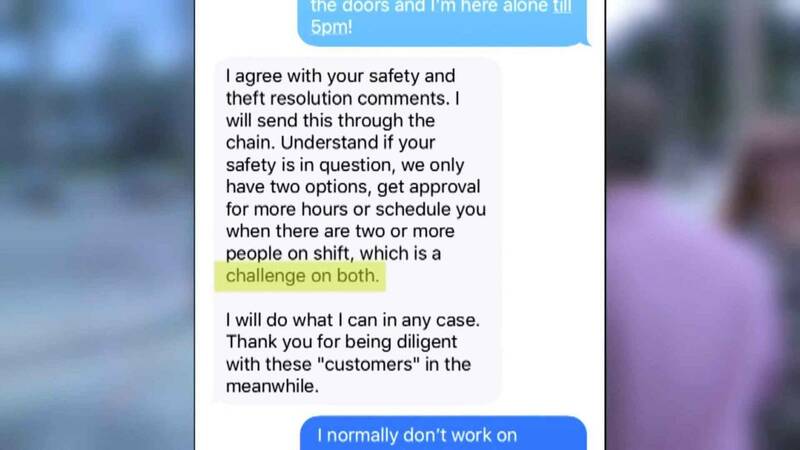 Clarke provided Local 10 News with a text from "Alex," a corporate 7-Eleven consultant. In the text, Alex said it would be a "challenge" to have two clerks on duty, as Clarke and Parker requested. 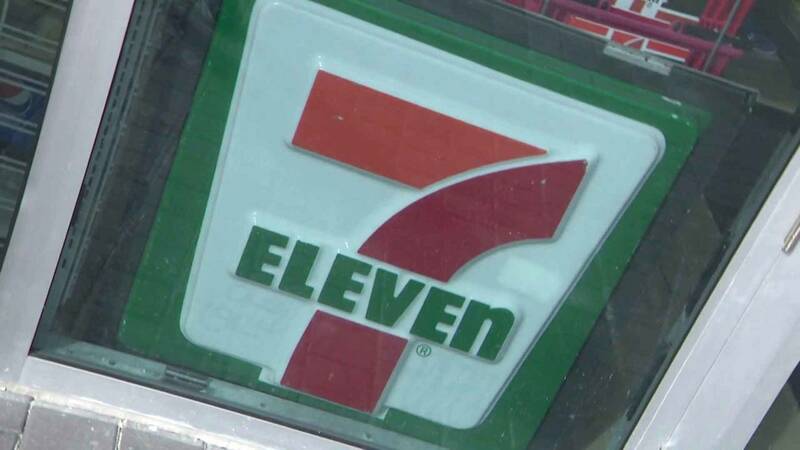 "Although this particular 7-Eleven location is undergoing renovations, we continually work to ensure we are providing a safe and clean environment," a corporate representative for 7-Eleven said in a statement. "The dust was a temporary issue caused by the renovations. The store is regularly cleaned by a third-party company. We appreciate 7-Eleven employees' and customers' patience during this time and look forward to better serving the community after renovations are completed. "The safety and well-being of our 7-Eleven employees and customers is of utmost importance. 7-Eleven has comprehensive safety programs and policies in place designed to minimize hazards for employees working in stores. The company has addressed all of the issues raised by both of these employees. "When employees are working a single coverage shift, they may lock the front door of the store to use the bathroom. The broken lock on the door was temporary and employees were able to stop the door even when the lock was broken. No employee was required to work a full shift without being able to use the bathroom." Clarke is now consulting an attorney. She said 7-Eleven human resources employees told her she had violated their social media policy by posting about conditions in the store. Clarke said she feels like a target for blowing the whistle. Since Local 10 News inquired about her safety, Parker is no longer working alone but said her hours have been cut. Florida law requires two clerks at convenience stores from 11 p.m. to 5 a.m.